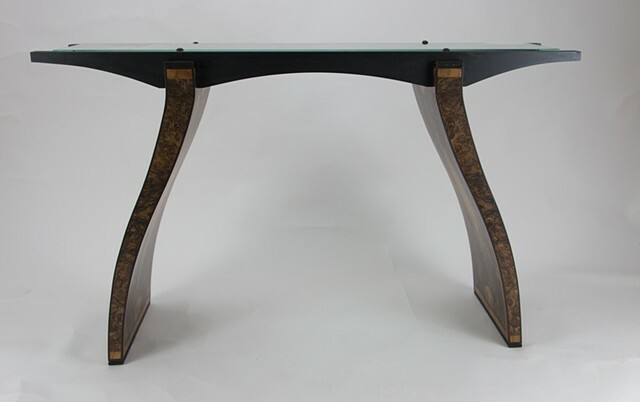 H 30" W 49" D 14.5"
This is another version of Glass Top Table 2 that has 4-way matched walnut burl veneer on each face of the curved legs and wenge accents on the edges and top and bottom of the legs. Use of a glass top provides a view of the inside faces of the legs. This was a commissioned project.